After the shaky reception to Kabali, eyebrows were raised when Superstar again chose to work with Pa Ranjith for a second project in a row. With the story set in Dharavi, Kaala opened with minimal expectations owing to the hangover of their previous collaboration. Few portions of the film were shot in the original locations at Mumbai but on account of the scale of scenes written, it became necessary to recreate Dharavi. Art Director Ramalingam’s extraordinary work and his penchant for detailing is one of the major highlights of the film. The outcome of such intricate work was that the set pieces added a deep layer of realism to the narrative. Expect many awards to come the way of the art director. G Murali’s cinematography has defined the populous demography, set the tone of the story and has fully captured the phenomenal performances within the film. The scale of the movie and its happenings are well captured by the aerial shots and the tracking of long shots hold the intensity and conveys emotions so wonderfully throughout the film. The trio of Ranjith, Murali and Ramalingam and their efforts in pre-production can be evidenced in the output on the screen. For editing the film, Pa Ranjith has sought refuge with the veteran Sreekar Prasad who has done justice to the screenplay by not restricting himself to a strict time frame. The interval block is impeccably edited and forms another major highlight of the film. 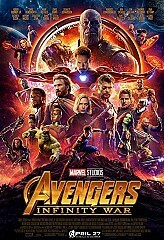 The editor manages to engage the audience with the narrative even with an overall runtime of around 2 hours 45 minutes, which in turn has helped the movie to settle down and move in its requisite pace. Santhosh Narayanan’s songs lurk in the background of the film without disturbing the screenplay. Thanga Selai is the pick of the lot on screen. The background score is a mixed bag especially the overuse of Kannama theme, which waters down some well written and acted scenes. The ticking clock and the themes in sorrowful moments remind us of Hans Zimmer and Late James Horner’s work. The main confrontational Hari dada - Kaala theme conveys the underlying tension, which adds to the writing and the very conscious decision to not let music interfere/overpower in Rajinikanth- Nana Patekar scenes is commendable. The sound designing is brilliant, which captures the sound scape of Dharavi very effectively and only an acoustically conscious theatre with advanced audio technology will highlight the work of Valentino Suren. The casting of the film serves as a great asset to the movie with great choices like Eshwari Rao, Samuthirakani, and Anjali Patil. The action choreography by Dilip Subburayan could have been more innovative and engaging rather being run of the mill. This movie is a mandatory viewing in the theatre just for performances showcased. Rajinikanth shows us why he is one of the finest actors in India. The audience gets to witness the versatility of the actor where he performs everything from dance, style, anger, comedy, intensity, emotions, sentiment, family and love. 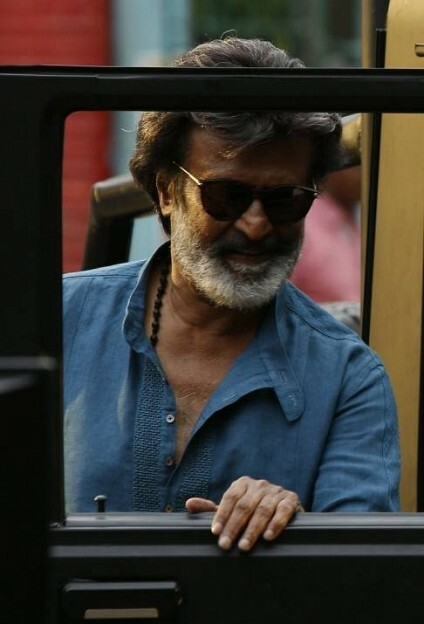 At 67, Superstar reminds us that he is an actor par excellence of the highest calibre especially in his portrayal of different shades of Kaala reminding us of his acting exploits in the yesteryears. For fans of Superstar, this movie warrants multiple viewings just for his performance alone. This is one of my personal favourite performances of his in recent times. Pa Ranjith’s vision of pitting Nana Patekar against Rajinikanth is reason enough to draw the audience to the theatres and the latter is at his menacing best as the antagonist. There are very few actors who can live the character they play like Nana and stay in it for the longest of time. The restraint, dialogue delivery, the pauses, stoic presence and the timed outbursts should be a lesson for budding actors. There is one particular confrontational scene where Kaala visits Hari Dada’s house teased in the trailers and it’s the stuff that cults are made off. Every statement and its response plays out like a harmonically arranged and orchestrated display of two phenomenal actors at their best. Pure acting gold! The supporting actors also make their presence felt lead by Eashwari Rao and Samuthrakani. They bring the much needed lighter tone to the film with impeccable timing and the realism in their performances also add weight to the moving story. Anjali Patil, Dhileepan, Manikandan, Pankaj Tripathi and Sampath Raj do justice to their roles. Huma Qureshi was engaging only in parts and over indulgence in some scenes don’t quite play out well. For the most part, the writing and directing by Pa Ranjith is admirable. The research and detailing that has gone into creating the world of Dharavi and its residents are evident. Even though the core theme of the film may have been touched in many earlier films, the very setting and the detailing sets it apart from being a mere caricature. Off all the character sketches, Karikaalan, Hari Dada, Selvi, Lenin, Selvam, and Mariyappan stand out. The director’s understanding of the acting prowess of two exceptional veteran actors is visible from the space he creates for them to just react in each other’s presence. Special mention to interval block and Thanga Selai sequence leading up to the police station scene where doses of brilliant writing and direction were visible. Pa Ranjith touches on various themes in the film with the primary one being ‘right to land’. The movie has referenced other topics like Fascism, Eelam struggle, inverted Ramayan, Karikaala Chozhan parallel, hijacking of people’s protests and women’s empowerment. Some topics get discussed well and some on your face and that’s where the filmmaking takes a back seat. The screenplay in the last 20 odd minutes of the film doesn’t do justice to the characters developed to that point. If viewed in isolation, the final sequence is definitely good but viewed in the context of a screenplay; it simply doesn’t close out the well-developed characters in the way they deserve. Even adding a couple of scenes around the last act of the film would have made the movie more complete. A typical example of this is that of the character Zareena who loses her way as the film progresses. 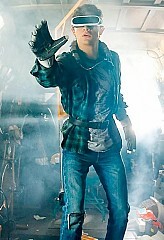 Certain switch over in character beliefs was not fleshed out within the narrative. Ideologies, messages or any philosophy should necessarily be merged within the screenplay and story narrated to that point. The last act seems to undo a lot of dialogues spoken prior to that. Pa Ranjith as a filmmaker has to reconcile with that fact going forward. Kaala is an engaging, brilliantly crafted and executed film for the majority of its runtime. Not that the third act isn’t executed well, it didn’t flow with the screenplay written until that point. Discounting the above-made observation, Kaala needs to be definitely watched in a theatre for the phenomenal performances, brilliantly staged scenes and the many themes it deals with well. Kaala is a timely film which talks about burning issues while not glossing over the reality of life in slums and their problems. In equal doses, it also entertains and engages all sections of the audience. If one is a fan of the Superstar or of performances in general or of the various facets associated with the craft of movie making, this movie demands multiple viewings for its ambitious scope and the richly dense narrative. One of the better Tamil films to come out this year. Enthiran 2 - A nostalgic memory along with an exciting news | "Happy faces"
Controversy: Producer rips apart Kabali and Iruttu Araiyil Murattu Kuththu! Breaking: Vijay Sethupathi reveals details on his role in Rajini's next! "I am a big fan of you, do you have idea of acting in Tamil film?" Massive Announcement: Know who plays Rajini's pair in Karthik Subbaraj's film? Aruvi actor now gets a role in Rajinikanth's next! This page has information about Rajinikanth's Kaala, a visitor's review. 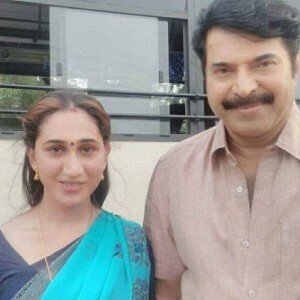 Peranbu actress enters Bigg Boss house! 'Rowdy' Deverakonda does the unthinkable!